Tata MotorsNSE 2.17 % Saturday said it has sold its stake in subsidiary TAL Manufacturing Solutions Limited to sister concern TASL for Rs 625 crore for the aerospace business. 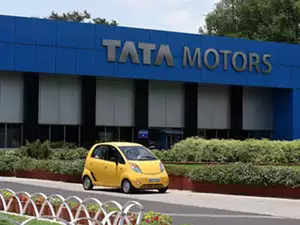 Tata Motors also said that it has acquired non-aerospace business from TAL Manufacturing Solutions Limited (TAL) for Rs 10 lakh. “…we would like to inform that the Company has availed requisite regulatory and other approvals and has on March 29, 2019, (i) sold its shareholding in TAL to TASL at an enterprise value of Rs 625 crores for the Aerospace business and (ii) the Company has acquired the non aerospace business from TAL at a value of Rs 10 lakhs,” Tata Motors said in a filing. Tata Adanced Systems Limited is wholly owned subsidiary of Tata Sons and is the strategic arm of the Tata Group. In other defence related disclosure, mini-ratna and special alloy maker Midhani said that it has handed over bullet proof vehicles to central armed police forces. The company said that it is also setting up its new “armouring unit” at IMT, Rohtak with capital expenditure of Rs 50 crore, which is expected to be operational by December 2019.